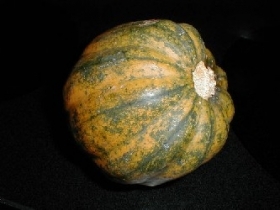 Have you made Acorn Squash Baked With Pineapple? 1. 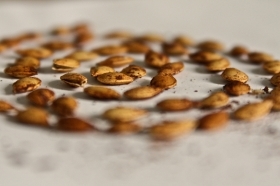 Preheat oven to 425 F Scoop out the squash seeds and fibers and discard. 2. 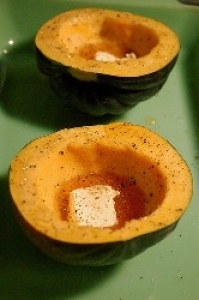 Place squash in greased baking dish. 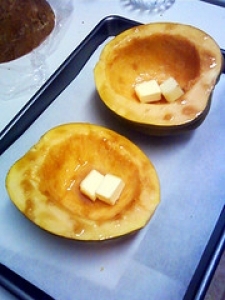 Put 1 teaspoon each of sherry, brown sugar, and butter in each squash half. 3. Cover and bake for 30 minutes or until tender. 4. Scoop squash out of shells, leaving wall about 1/4 inch thick. 5. 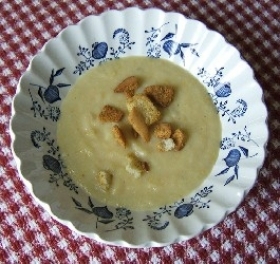 Mash squash and combine with remaining 4 tablespoons butter, pineapple, nutmeg and salt, beating well to blend. 6. Spoon back into shells and return to oven to bake for 15 minutes more. 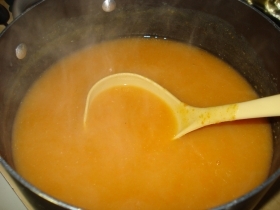 This recipe is high in Vitamin A with 23% of your daily recommended intake per serving. 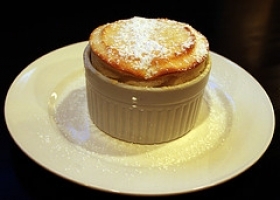 This recipe is high in Vitamin C with 50% of your daily recommended intake per serving. This recipe contains potential food allergens and will effect people with Pineapple, Butter, Sulfites, Natural Sweeteners, Alcohol allergies.